Lotus flower pendant for mounting jewelry. This flat round charm is carved on both sides with the drawing of the lotus flower. 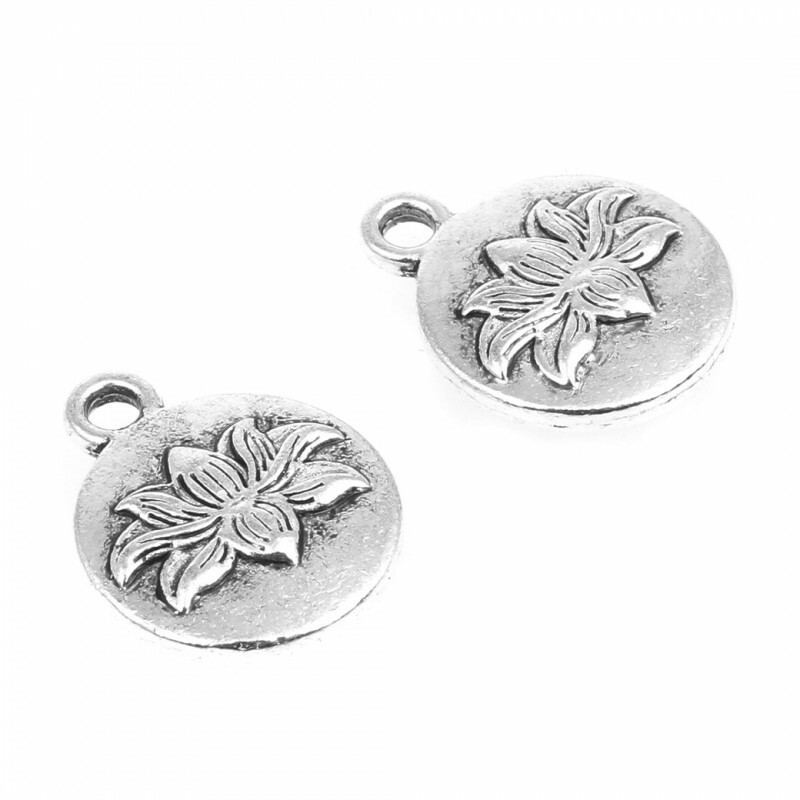 It measures 13 mm x 17 mm x 4 mm and has a hole in the top of 2 mm diameter. 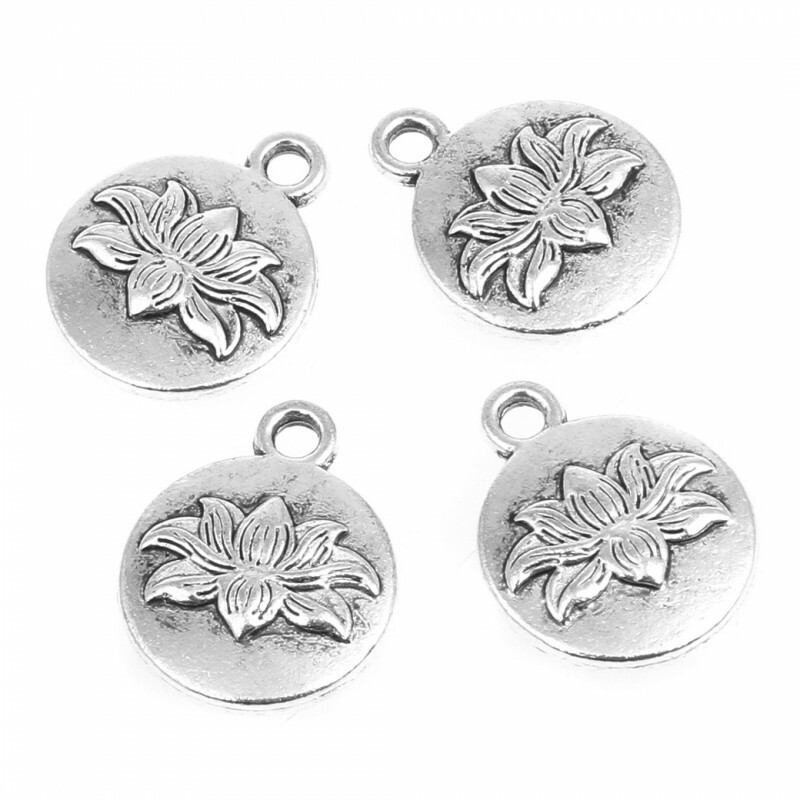 It is made of zinc alloy in antique silver color. A bag of 20 grams contains about 10 pieces.